Everyone has witnessed numerous designing and redesigning of Logos in the year 2015. Multiple brands and businesses launched their logos with positive note, some got lucky and some terribly failed to leave a mark. On the contrary, a few logos were even grilled by individuals on social media platforms. Following are a few logos which managed to create a hype, for their particular reasons, in 2015. These logos will help you understand the do’s and don’ts of logo designing. 2. Lexmark – That’s How You Infuse! The printing company Lexmark’s new and redesigned logo is a classic example of infusing different concepts. The logo features a camera aperture which describes the focus i.e. focus towards the customers. It also highlights a shutter which expands; here expansion is related to the improved and better opportunities. A great logo indeed. SONOS accidently got lucky when people started appreciating its new and improved logo that looks like speaker. This is greatly relatable and one of the most significant reasons why it went viral is the fact that music and speakers are so relevant. No one needs any introduction for Logitech. The best in computed accessories. 2015 changed the fate of Logitech because of it expansion. Plus, the brand also redesigned its logo after many years and turned it more simplistic. This is one of the smartest and simplistic logos of 2015. Google Ventures also redesigned its logo this year and made it look a lot simpler. It only shows now a “G” representing Google and “V” for ventures. This style is liked by individuals. Google is definitely working on its rebranding very carefully and nicely. Spike hired Bluemarlin Agency to redo its logo and the agency made the logo look a lot mature as compared to how it used to look earlier. This helped Spike to engage a broader range of audience. If you talk about adding detail your logo, this approach is very interesting and often turned out well. In 2015, Johnnie Walker’s logo went through a redesign, that too a detailed one. This new logo is liked by its target audience. It’s classy, trendy and stylish. Coca Cola, a beverage giant, introduced logo-less cola cans in Dubai and other Middle-Eastern countries. The concept behind this particular was to “stop labeling others”. This was continued in the month of Ramadan. This is a good example to peel off your logo for a campaign to run effectively. Studio Tilt made everyone smile with Ihop’s redesigned logo. They flicked the frown upside down, making it a smiley face (focus from “o” to “p”). It’s a smart way to bring smile to the brand. The world was shocked to witness the Paris Attack. It saddened the entire humanity on 13 November 2015. The very next day Jean Jullien came out with a simple but very impactful design that was backed with a very strong concept i.e. Peace For Paris Logo. The icon was viral in just 24 hours. No one can forget the moment when Hilary Clinton announced her candidacy and introduced her logo, designed by Michael Beirut. The logo received a lot of criticism and missed the mark. The logo had so many flaws both conceptual and visual, that it can easily be one of the worst logos of 2015. Do you know what happens when you redesign a logo and it looks similar to a famous brand (read: giant corporate business)? This is what happened with Best Western’s redesigned logo which looked way too inspired from Procter & Gamble’s logo. Not a smart design to go on with. What happens when you try to add too many things when you redesign your logo, it misses the mark and fails to impress your target market. That’s exactly what happened to Career Builder. According to a poll on graphic design fraternity, 93% respondents criticized and disliked the new logo. Remember on Twitter John Legere offered only 2 cents for a logo? That logo was the redesigned version of Verizon’s logo. Now, that created a huge debate and logo faced a huge criticism on many social media platforms. 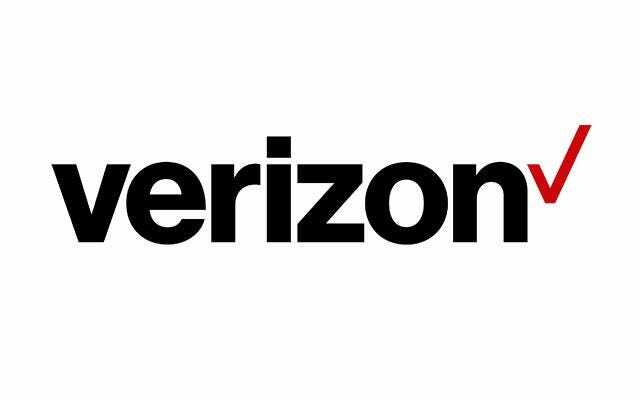 Verizon’s new logo is an example of bad logo redesigns. The redesigned logo of Spotify (music streaming service), blew internet up because of the changed color of “green” shade. Twitter nation criticized the logo i.e. the change of color too much. It’s a tad too fancy as per some. Spotify should be considered as one of the integral examples in letting people realize the importance and significance of colors. It’s a rebranding gone bad.